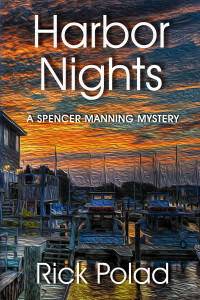 In my third book in the Spencer Manning mystery series, Harbor Nights, I introduced a secondary character by the name of Larry Maggio, the crime boss in Chicago, and made him the grandson of Johnny Torrio. Larry Maggio is fictional. Johnny Torrio is not. Torrio looks like a mild-mannered, kindly grandpa—looks can be deceiving. Torrio grew up in a slum neighborhood on the Lower East Side of Manhattan. His first job was in his stepfather’s grocery store which was really a front for illegal liquor. He rose to the head of a gang of boys and made enough money to open a billiards hall where the gang could plan their crimes. The gang attracted a number of rising criminals, including Al “Scarface” Capone. While Torrio was making his name in New York, his uncle by marriage, “Big Jim” Colosimo, had taken control of the underworld in Chicago with an enterprise known as the Chicago Outfit. In 1909 Colosimo was threatened by extortionists and asked Torrio for help. After moving to Chicago, Torrio helped grow the Chicago profits, concentrating on brothels. In 1918 Capone became a suspect in a murder investigation and the Brooklyn Mafia sent him to Chicago to take the heat off and Torrio put him to work. Then, in 1919, Prohibition became law and promised a boom for organized crime. But Colosimo, who made his fortune selling liquor to the patrons of his restaurant, refused to become involved in illegal liquor distribution which angered Torrio. That may have been the end of it, but Colosimo divorced Torrio’s aunt and Torrio ordered him gunned down. No one was ever charged but Capone was a suspect. Torrio turned the Outfit into a machine and bootlegging brought in a hundred million dollars a year. The Outfit controlled liquor on the south side of Chicago, but the north side was controlled by an Irish-American gang led by Dean O’Banion. In 1924 Torrio was set up by O’Banion and went to prison for nine months and vowed revenge. On November 10, O’Banion was gunned down in his flower shop and the “beer wars,” the most violent era of organized crime in American history, had begun. Torrio survived an attack and left for Italy, turning over the business to Al Capone. He returned in 1931 to testify at Capone’s tax evasion trial and became the mentor for Salvatore “Lucky” Luciano of the Genovese family in New York. Convicted of tax evasion in 1939, Torrio served two years in Leavenworth and then went into the real estate business and faded into obscurity. He died of a heart attack in 1957 while getting his hair cut and was so obscure no one noticed until his will was probated three weeks later. Al Capone made his mentor proud, but was also known for passing out food at Christmas and helping the poor—charitable qualities continued by my character, Larry Maggio.